Moritz von Oswald, legendary master of electronic experimentalism and technical exactitude, has an unassailable place in the modern history of forward-thinking music. To follow his career is to take a guided tour through some of the most important developments, places and people in the history of electronic music. Trained as a classical percussionist, von Oswald joined avant-garde new wave band Palais Schaumburg in the early 80s. His growing interest in the possibilities of electronic music culminated in a landmark collaboration with Thomas Fehlmann in 2MB (and 3MB). By the early 90s he had gone on to found Basic Channel (with Mark Ernestus) whose releases would go on to define and epitomize European minimal techno. As a central figure in the Berlin techno scene which coalesced around the Tresor club and label, von Oswald helped initiate and develop the famous Berlin-Detroit access, collaborating with pathbreaking artists in the burgeoning Techno scene across the Atlantic such as Juan Atkins, Eddie “Flashin” Fowlkes, Jeff Mills and many others. As half of both Maurizio and Rhythm & Sound (again with Mark Ernestus) he transformed this new sound in respectively minimal and dub-inflected directions, originating traditions in electronic music that continue to this day. Von Oswald’s influence on the fledgling music scene in Berlin also had a more concrete dimension flowing from his tireless work as a mastering and cutting engineer at the legendary Dubplates & Mastering studio. Since the new millenium, von Oswald has branched out into more experimental and improvisational contexts: a landmark release for Deutsche Grammophon which commissioned him and Carl Craig combine to recompose music from Ravel and Mussorgsky, a critically acclaimed collaboration with Norwegian jazz trumpeter Nils Petter Molvaer for Universal Music as well as continued recorded and live work as The Moritz von Oswald Trio which sees him ‘conduct’ Max Loderbauer, and Tony Allen (more info below). Von Oswald’s later work builds on his illustrious output from the 90s – which has now entered the canon of truly original and influential electronic music – and expand it through novel projects, collaborations and performances. Moritz von Oswald’s long time collaborator Max Loderbauer and Nigerian drumming legend Tony Allen round out the latest configuration of the critically acclaimed Moritz von Oswald Trio. Loderbauer has been a constant (if somewhat reticent) fixture in the serious electronic music scene for decades. First as a member of influential 90s duo Sun Electric, then in his collaborative projects with Tobias Freund (as nsi.) and Ricardo Villalobos (remixing the canonical ECM catalogue), and most recently with his debut solo album Transparenz (2013) Loderbauer has established himself as a pioneering force in sound design and avant-garde music production. The fresh dimension in this brand new incarnation of the Trio is provided by Tony Allen. Customarily referred to as the inventor of Afrobeat and described by Brian Eno as “perhaps the greatest drummer who ever lived”, it would be hard to find another musician who has exerted such a powerful and consistent influence on the direction of his chosen genre. 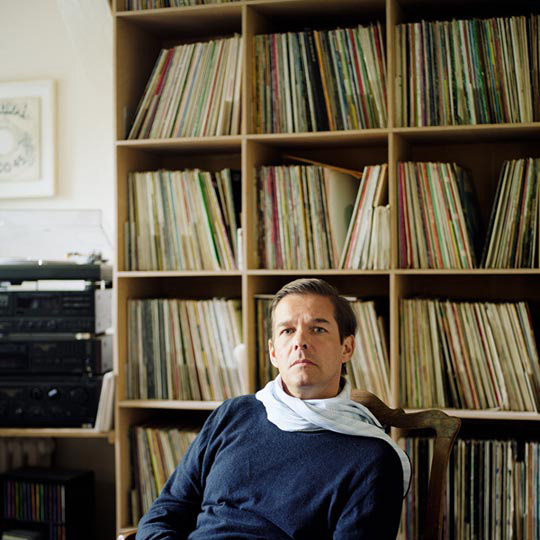 Uniting these two very different musical personalities in the service of a common creative goal is, of course, Moritz von Oswald: longtime master of electronic experimentalism and technical exactitude, von Oswald is firmly entrenched in the modern history of forward-thinking music. The latest edition of the Trio provides the ideal platform for von Oswald to explore new dimensions in live improvisation and instrumentalisation in the august company of two of his musical peers. The three have been working in the studio on their first batch of recorded material.